7apr1:00 pm- 3:30 pmWhat Lives in Long Branch? 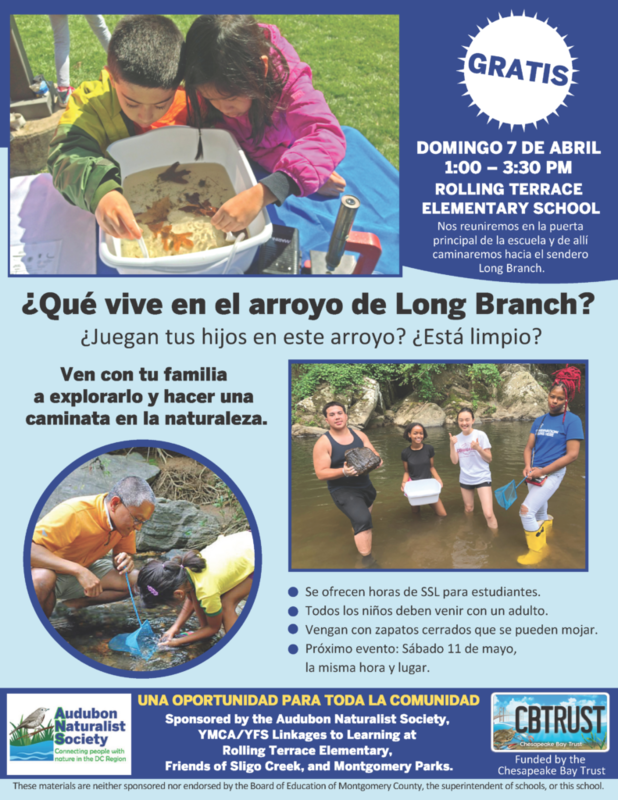 / ¿Qué Vive en Long Branch? Do you live in the Long Branch community? Have your kids played in the stream? Is it clean? Healthy? Come with your family to search for clues about the stream’s health as we explore the creek and take a nature walk on the Long Branch Trail. We’ll meet at Rolling Terrace Elementary School and walk together to the Long Branch Trail. – SSL hours can be earned by students. – Wear boots if you have a pair. We’ll have some to share. – Can’t make it on April 7? Join us on May 11. Same place, same time.